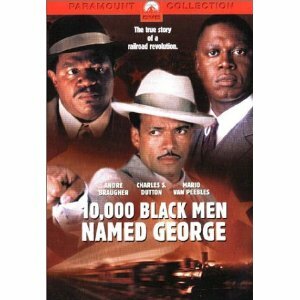 On Tuesday, the group Left Forum, will be hosting a screening of the film, 10,000 Black Men Named George. 10,000 Black Men Named George is the powerful true story of the first black-controlled union, The Brotherhood of Sleeping Car Porters. When the Great Depression struck America in the 1920s finding work was hard, but if you were poor and black it was virtually impossible. Working as a porter for the Pullman Rail Company was an option, but it meant taking home a third as much as white employees and working some days for free. You could forget about being called by your real name — all black porters were simply called “George” after George Pullman.